The simple design will blend into your kitchen. 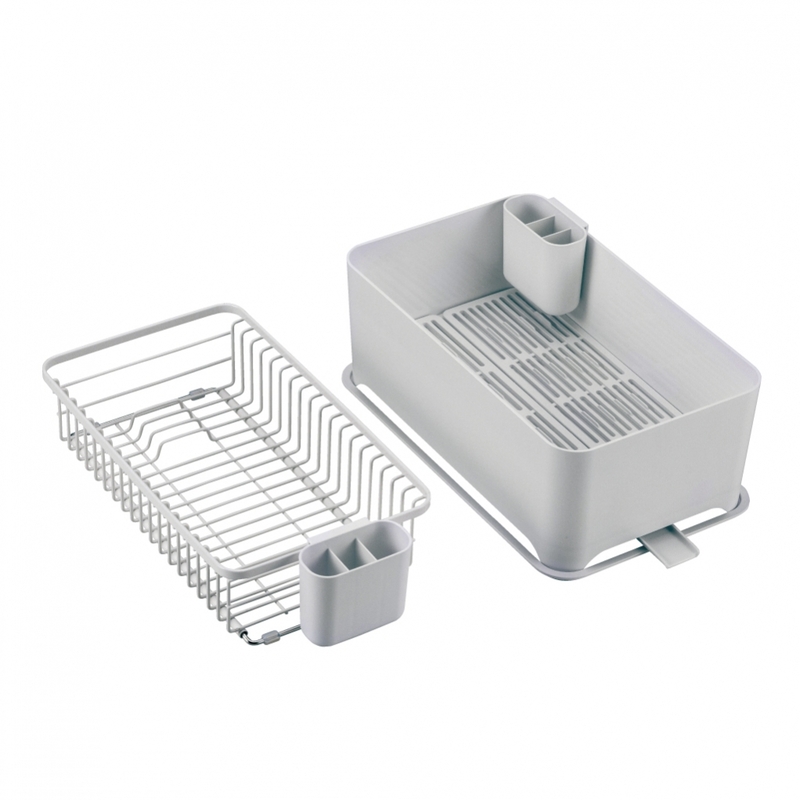 It is equipped with a wire basket for small dishes and glasses, and a plastic drainer case for tableware such as large dishes and frying pans. As the parts can be collectively put in the case, you can soak and wash them.